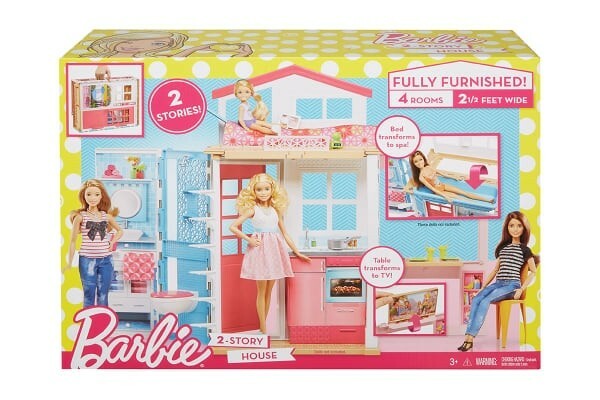 Barbie doll house play set folds and unfolds with ease, and a carrying handle makes it easy to take on the go. 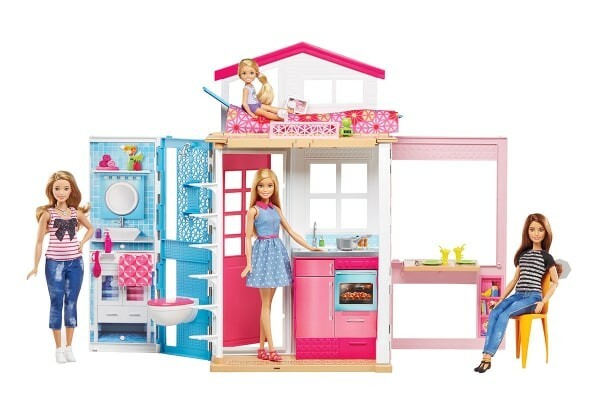 The Barbie 2 Story doll House is designed with portability in mind, it unfolds to reveal a two-story home with multiple play spaces. Enter through the pink door. There’s a kitchen with sink and stovetop to cook up all kinds of stories. In the next space, you can leave the TV up for a living room or flip it down to create a dining table - a sleek chair works in either setting. 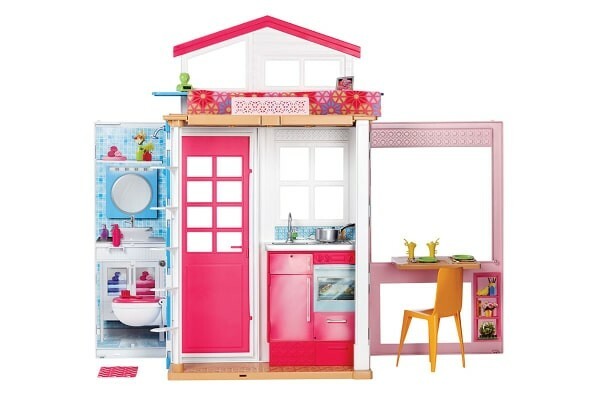 The colorful bathroom has a toilet and showerhead that add to play. Take the white steps to the second floor, where the bedroom does double-duty - flip the bed over to reveal a spa!